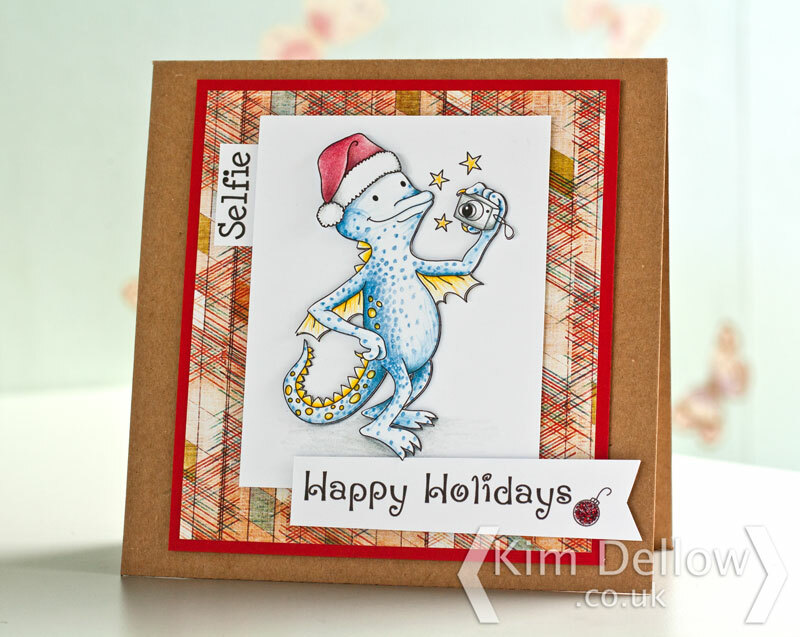 Welcome one and all to the new stamp release from super lovely Susana’s Custom Art and Card Design, SCACD. I have the honour of being part of the ‘This and That Collection’ debut today along with the SCACD design team and some special guests. 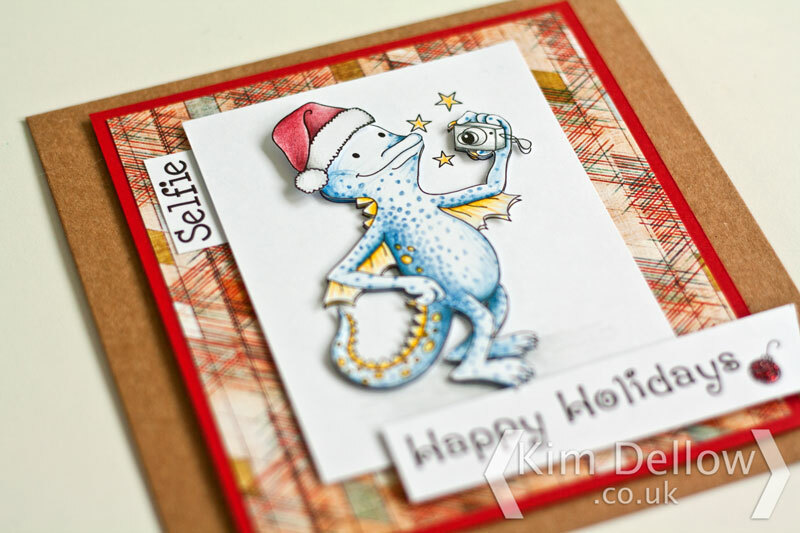 So if you have come here from Kathi’s blog Kat’s Tales of Scrapping and Stamping you are on the right blog hoppity journey. 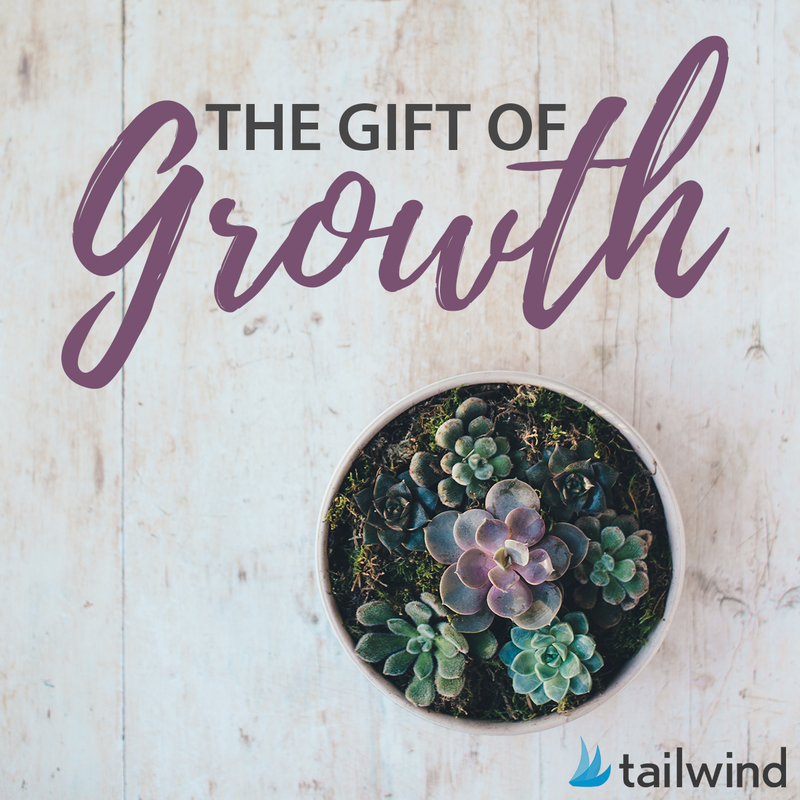 If not, and you want to hop along with the rest of us, then pop over to the start of the hop at Alex’s blog Paper and String. So let me introduce you to the new SCACD Steampunk Cupcake. How cool is this stamp? I’ve paper pieced the stamp on patterned paper and added a bit of extra colour with some pencils. 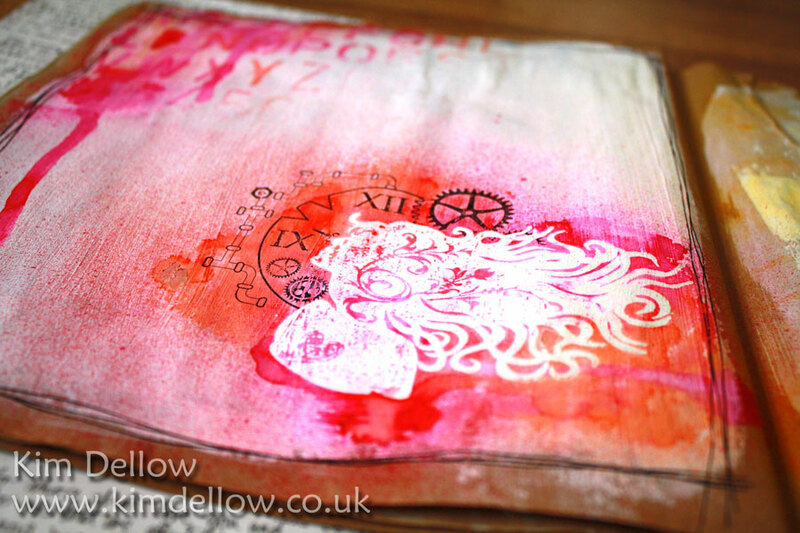 Then mounted it on a doily – of course – and a lightly painted canvas board. *LOVE* It looks so tasty! All of the new ‘This and That Collection’ stamps have been inspired by things in Susana’s life and then beautifully given life by Artist Carmen Medlin. There are four ‘Zen Beauties’ stamps and five ‘eclectic fun’ stamps in the collection and Susana has said that if you buy all the Zen Beauties together in one go you will get an accompanying accessory maple seed stamp as a bonus stamp. Oooo! 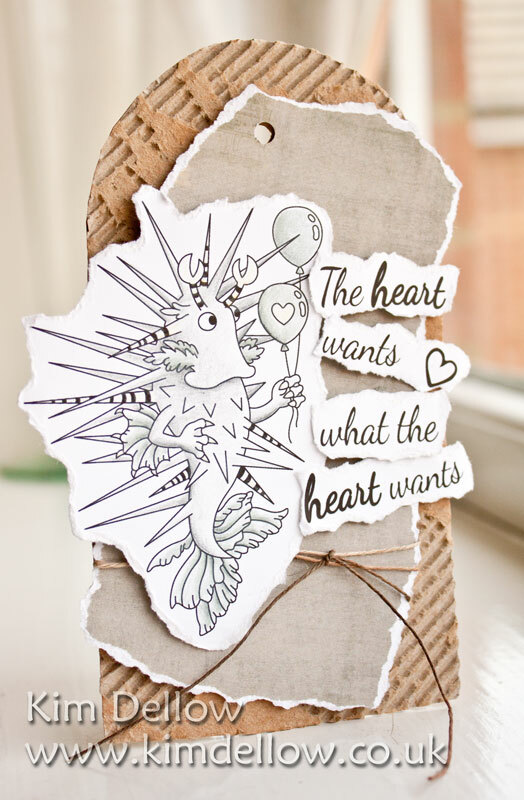 You can find the new rubber stamps of the ‘This and That Collection’ at SCACD or at Quixotic Paperie. There are also some digital stamps of Hope, Steampunk Cupcake (the stamp I’ve used above) and Mrs. Bones available at SCACD. So next on the hop is Miss Alaineous’ Mosaics. But if you get lost along the way then make your way back to the SCACD store blog. Who fancy’s a sneaky peek at some brand new stamps? 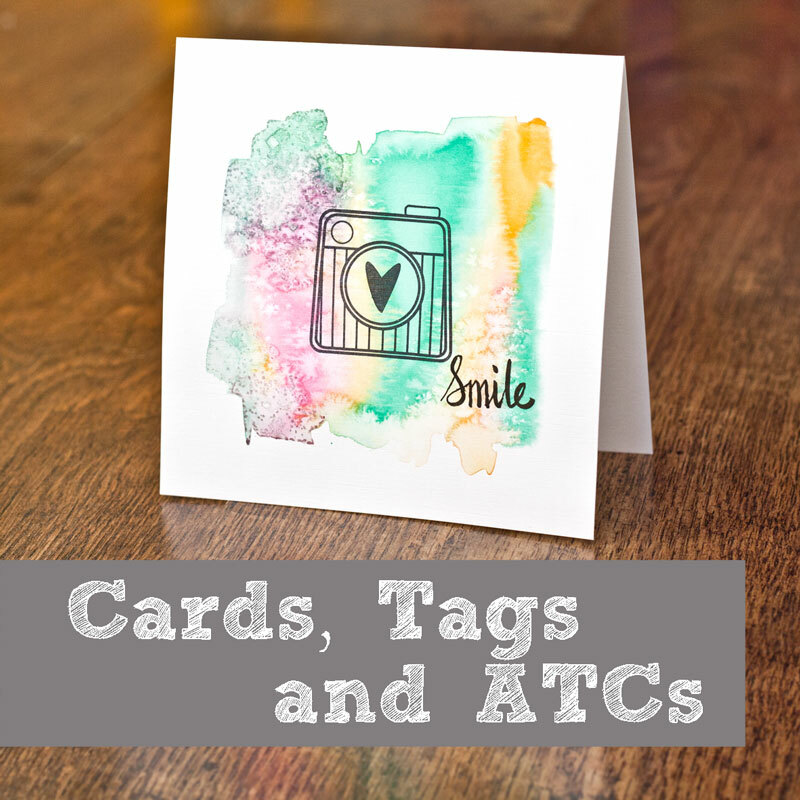 It is the new Susana’s Custom Art and Card Design (SCACD) Susana Loves Stamp releases and you can see them all today on the SCACD DT, Quixotic Paperie DT and guests (I’m a guest!) 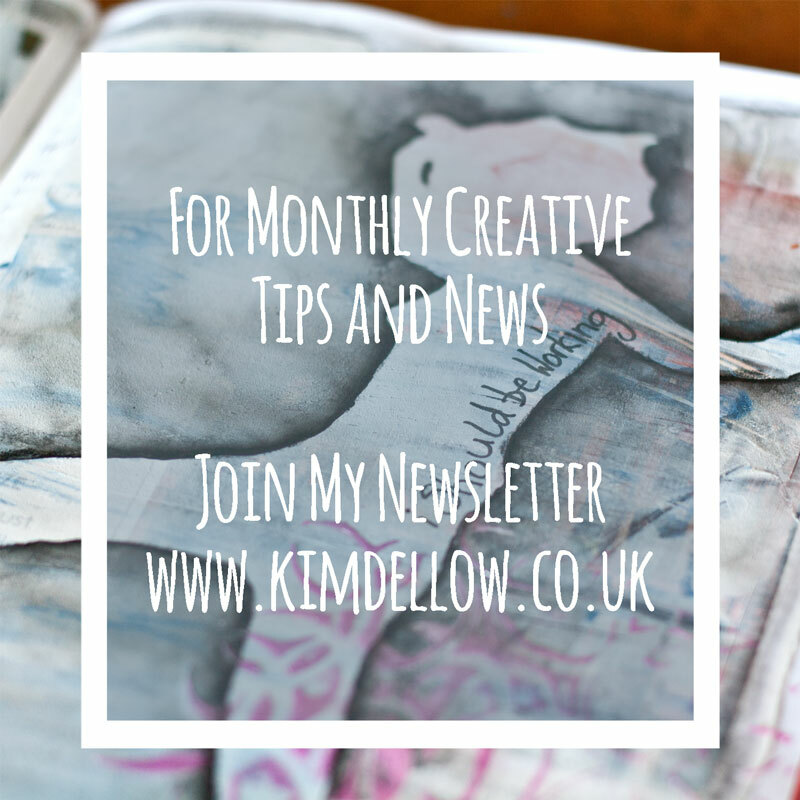 blogs (there is a list below to help you hop about!). There are two new collections to fall in love with, first there are the FUN little pranksters the Oddly Sweet Curiosities #5 collection. Then there is the all new FAB range of The MechAnimals. The new SCACD Stamp ranges are available in the UK/EU exclusively at Quixotic Paperie or from Susana’s Custom Art and Card Design in the US. 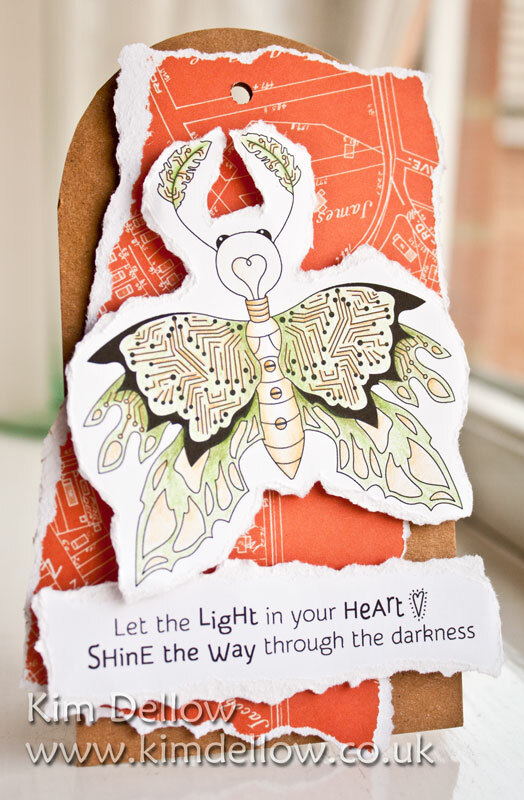 I have a thing for circuit board so LOVE Radiant Moth! As you can see these guys are a little different and totally fab I’m sure you will agree. But that isn’t all Susana has a new adventure – she is going Digital! 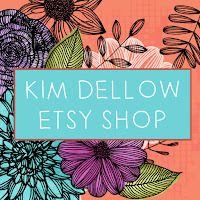 So checkout what is on offer digitally over at her shop. Everyone loves fairies right? Well we have some new beauties to fall in love with today! 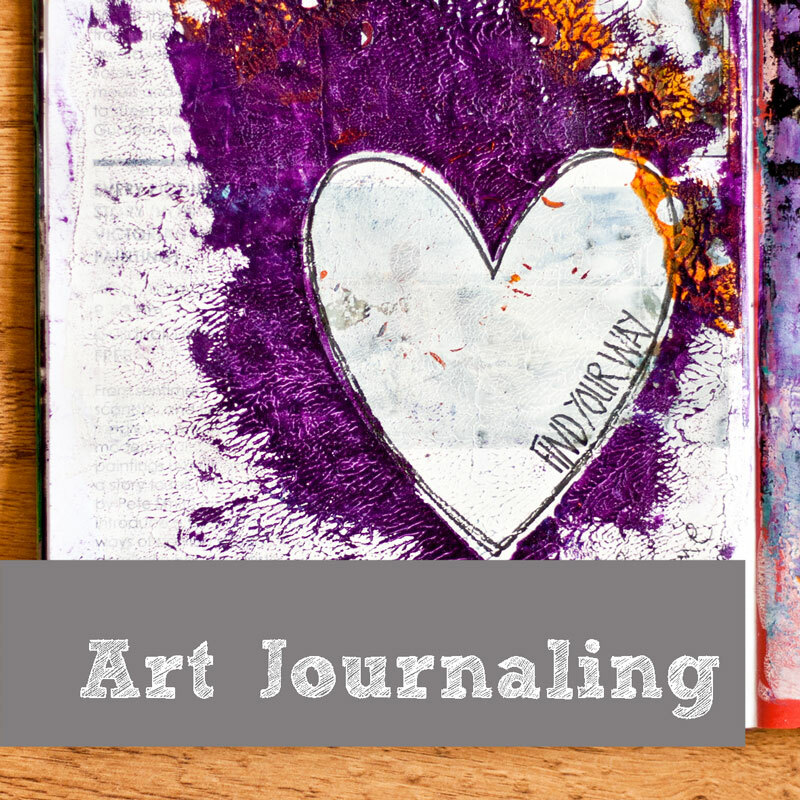 Welcome to the Susana’s Custom Art and Card Design (SCACD) New Release blog hop! 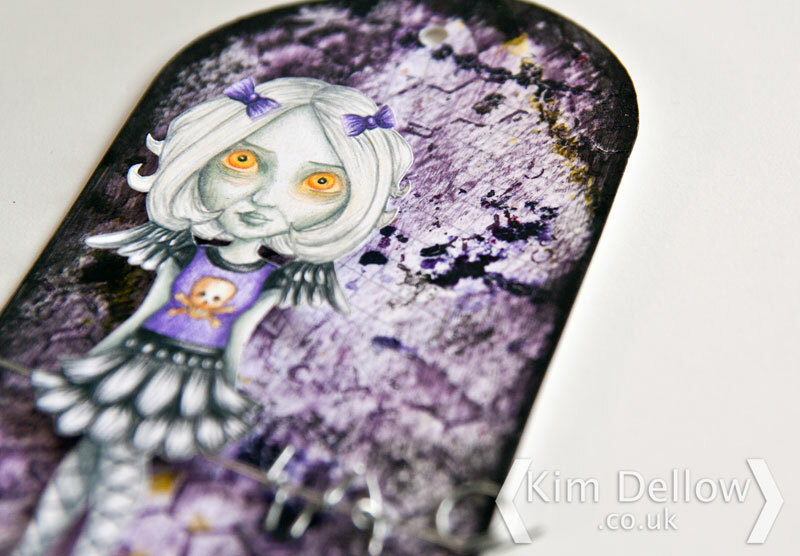 I’m so excited to be able to show you one of the lovely new stamps from The SCACD Fairy Dust Collection. If you have hopped on over from Alex’s blog Paper And String then you are on the right track. 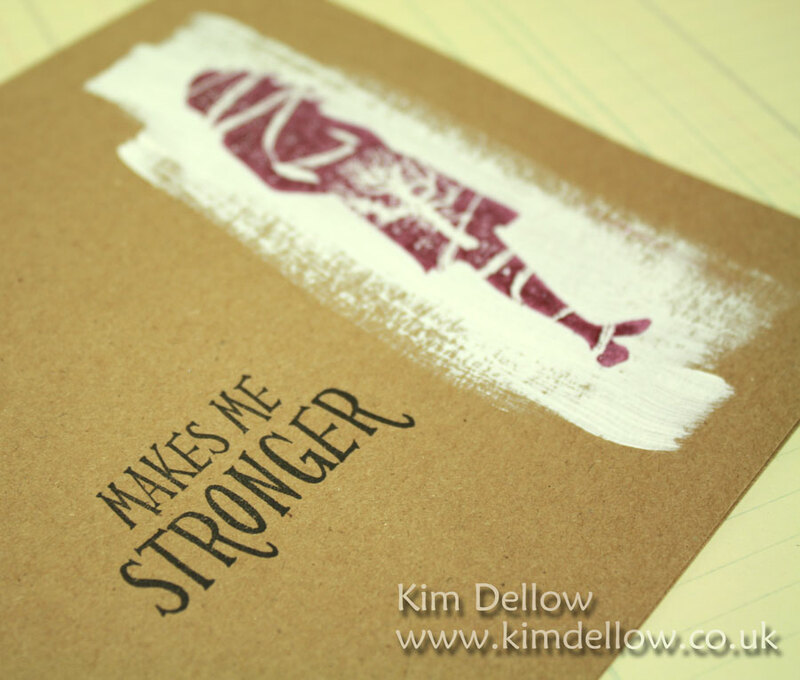 If not then you might want to hop to the start at Kathi’s blog Kat’s Tales Of Stamping And Scrapping. So the new SCACD stamps on show today are illustrated by the super talented Elisabeth Bell. 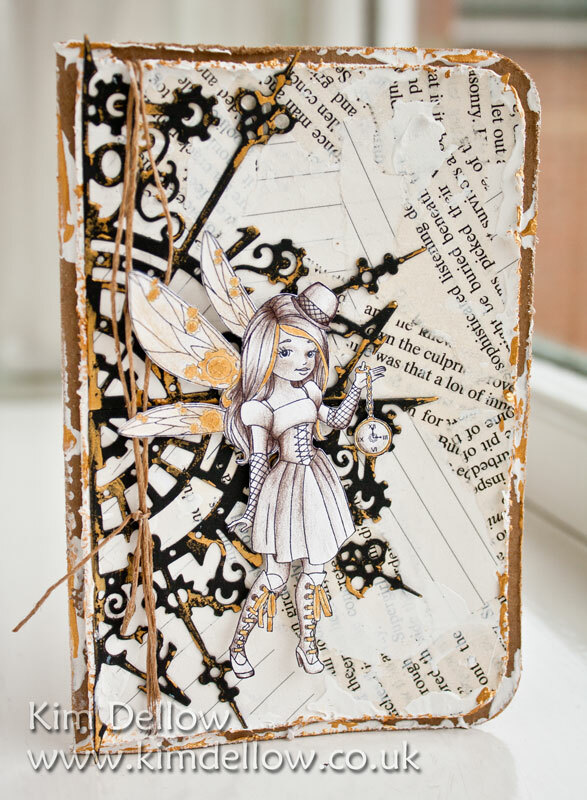 There are six fairies in the new Fairy Dust Collection and all are gorgeous and I’m sure will become firm favourites that you will just want to ink up again and again. The new collection is available from Susana’s Custom Art and Card Design if you are in the US or from Quixotic Paperie if you are outside the US. Isn’t she gorgeous? I’ve coloured her with Prismacolor pencils, but I’ve also added some gold highlights to her hair, wing cogs, laces and watch with acrylic paint. The die in the background is the Alice Clock Statement corner from SCACD, and I’ve used it twice to make the semi-circle. 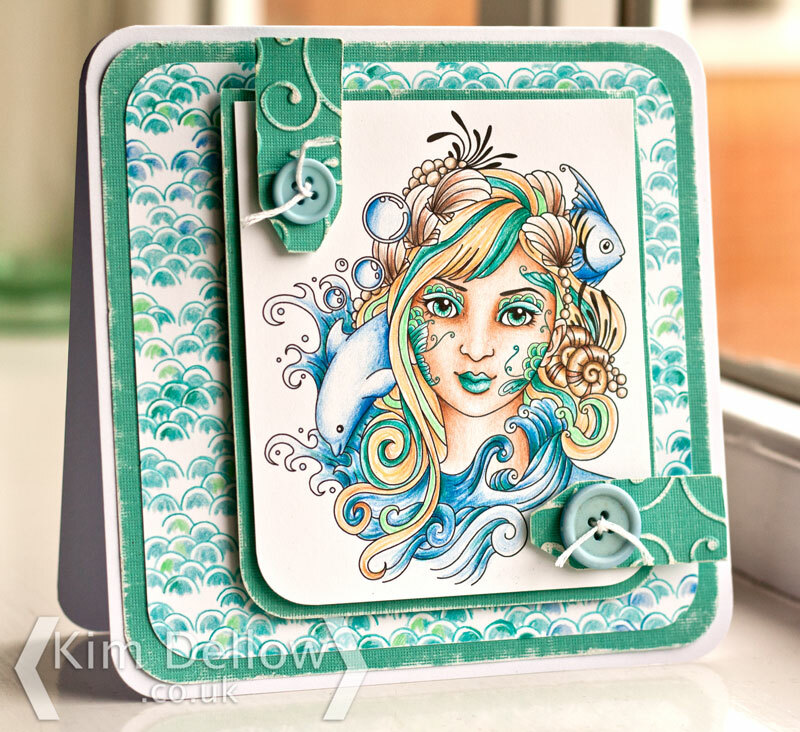 You can find more SCACD dies over at Quixotic Paperie or over at SCACD. Right, well that is my look-see shared. But there are more lovelies on our journey. Next hop is Melanie at Paper Blessings. 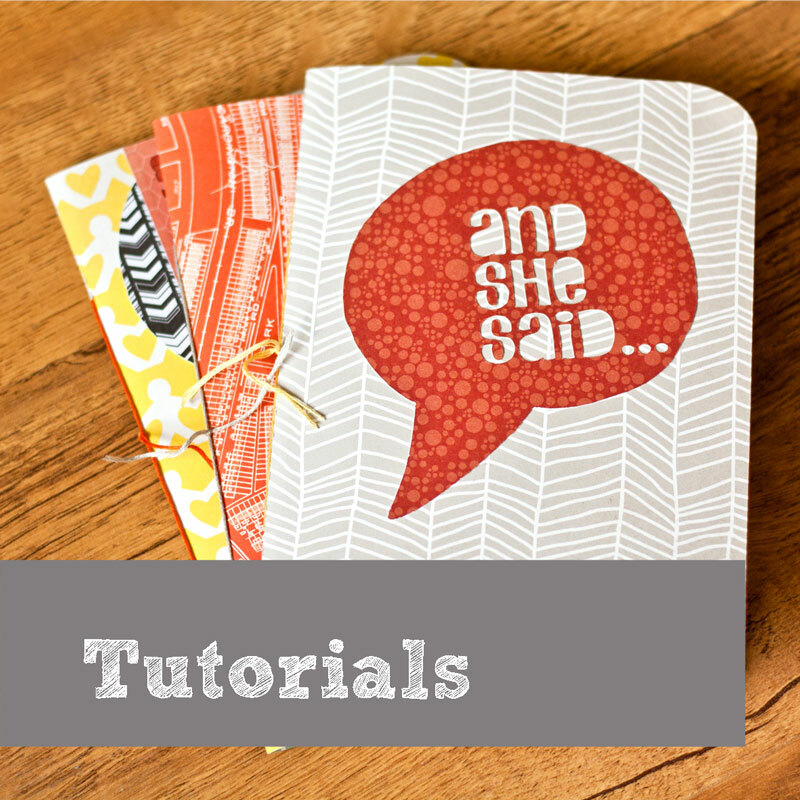 SCACD Blank Canvas Collection #2 Blog Hop! 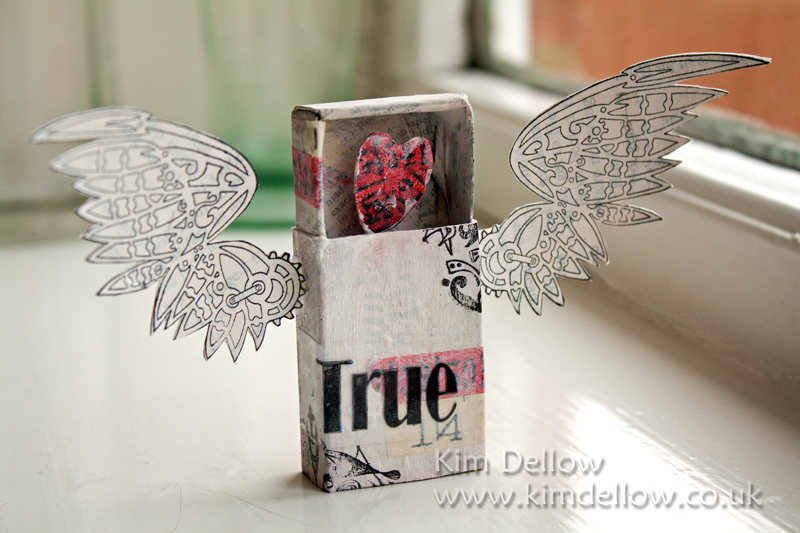 Who is up for some new stamps and a Blog Hop? Oh yeah new stamps time! 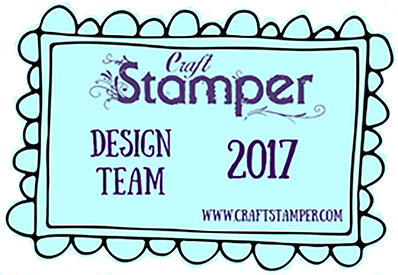 It’s the new Susana’s Custom Art and Card Design (SCACD) Blank Canvas Collection #2, did you spot the original release in the February issue of Craft Stamper recently? One lovely make was even from our very own Elaine Hughes (the first stop on this hop – if you want to start from the beginning). 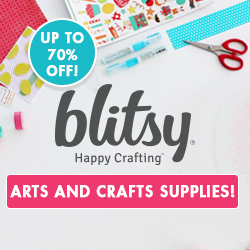 So the new collection of stamps and dies are still a lovely medley of inspiration for beginners and experts alike and for all your mixed media, journalling, papercrafts and altering passions. 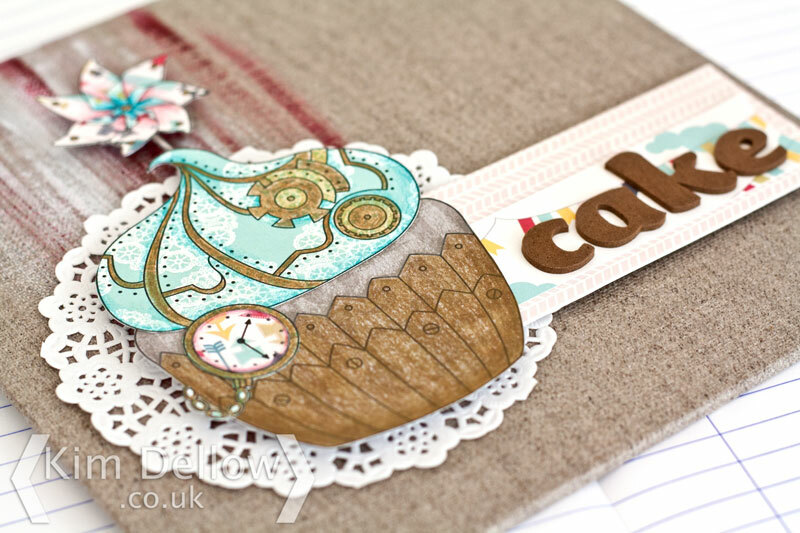 The stamps are available in the UK and internationally from Quixotic Paperie and for USA then pop on over to SCACD. You can also find the dies at Quixotic Paperie and SCACD of course! 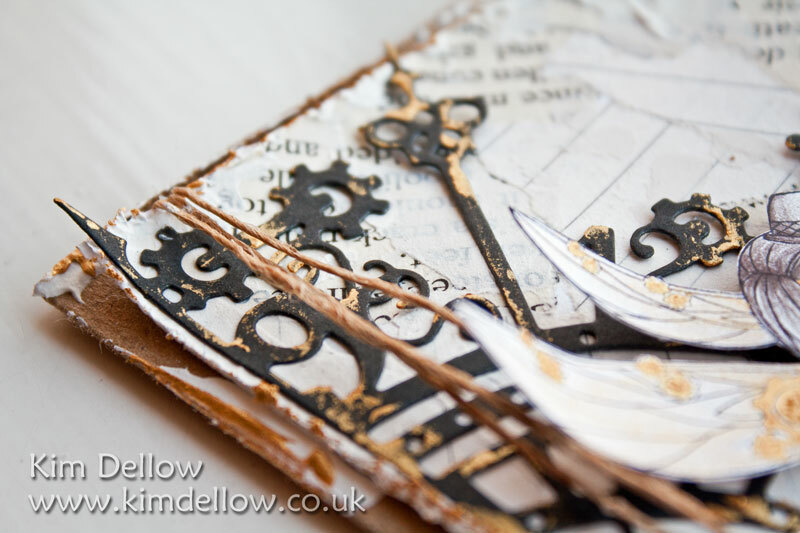 I thought I would go a little bit altering and mixed media for my sample, don’t you just love those steampunk wings? 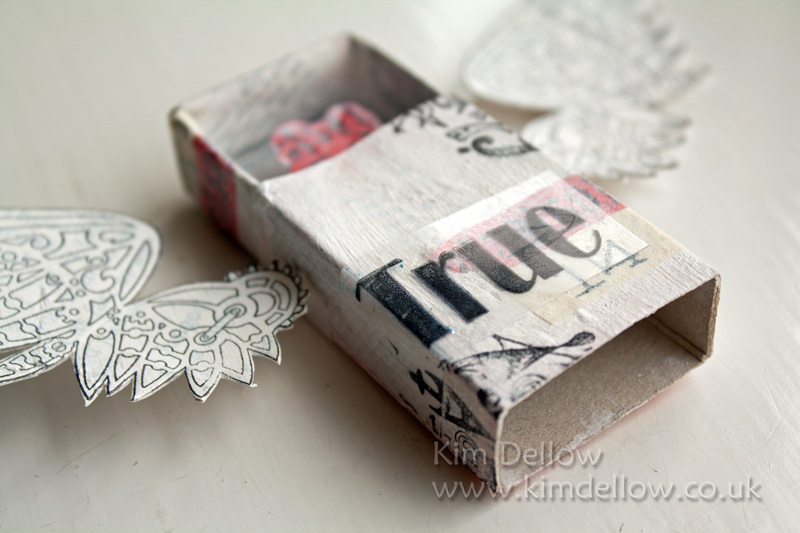 So if you haven’t guessed – it is an altered matchbox and I’ve gesso-ed, added old book pages and washi tape with some extra stamping for good measure! I’ve stamped part of one of the sentiments onto some acetate so that I could curve it slightly around the edge of the matchbox. 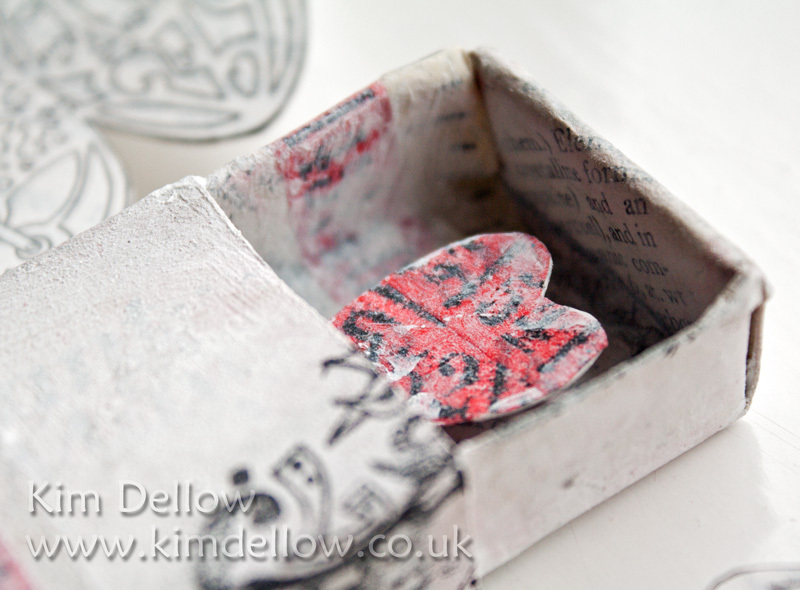 I’m thinking this might make a fun serious to do – little altered matchboxes with the SCACD Blank Canvas Collection? What do you think? Ok so you have some more hopping to do! 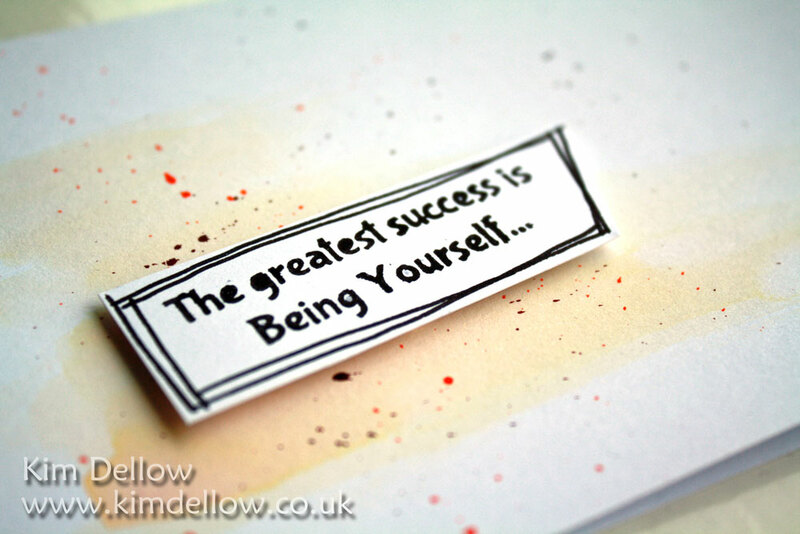 Next on your journey is lovely Melanie at Paper Blessings. 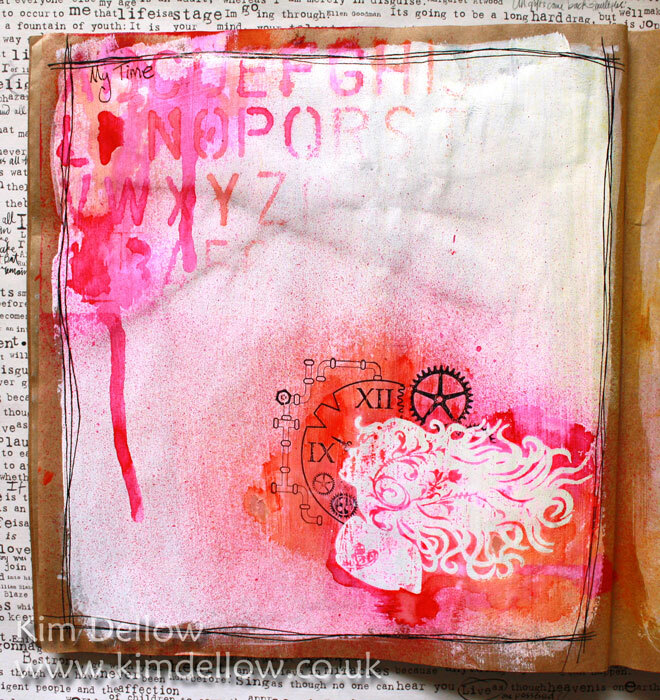 More inky Kim today with a page from my journal. I have a number of journals on the go at the moment all of them slightly different, you have seen this one before in the Spring with a Kuretake make. 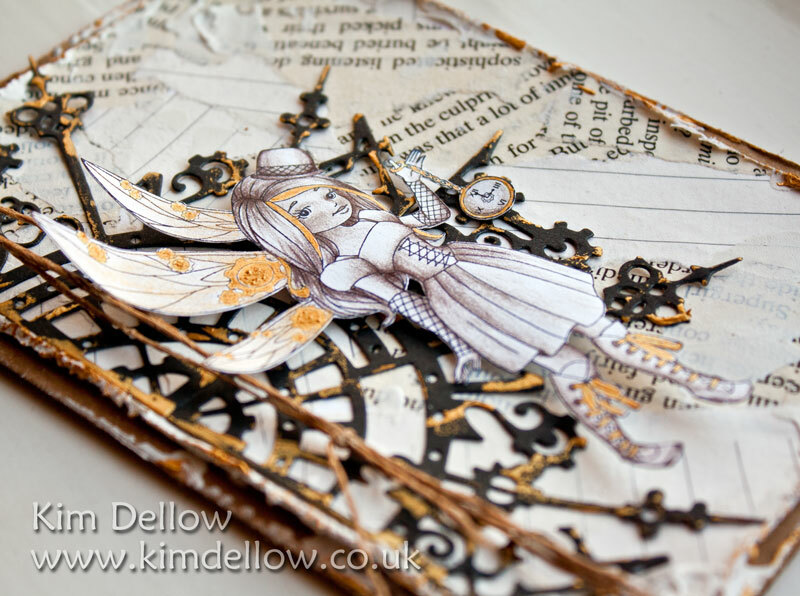 What I love about this one is that it is all kraft paper which is great fun to work on. So this page is called ‘My Time’ and you can see the gorgeous female silhouette from the Susana Loves Stamp Blank Canvas range from SCACD available over at Quixotic Paperie. 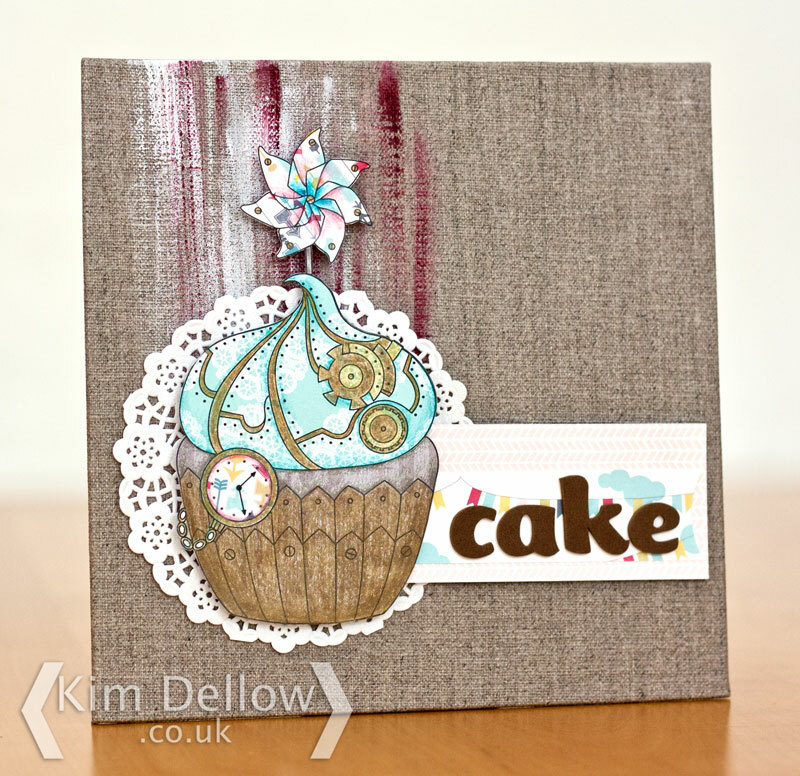 She is stamped, clear embossed then over stamped with the fab clock also from the Blank Canvas range. 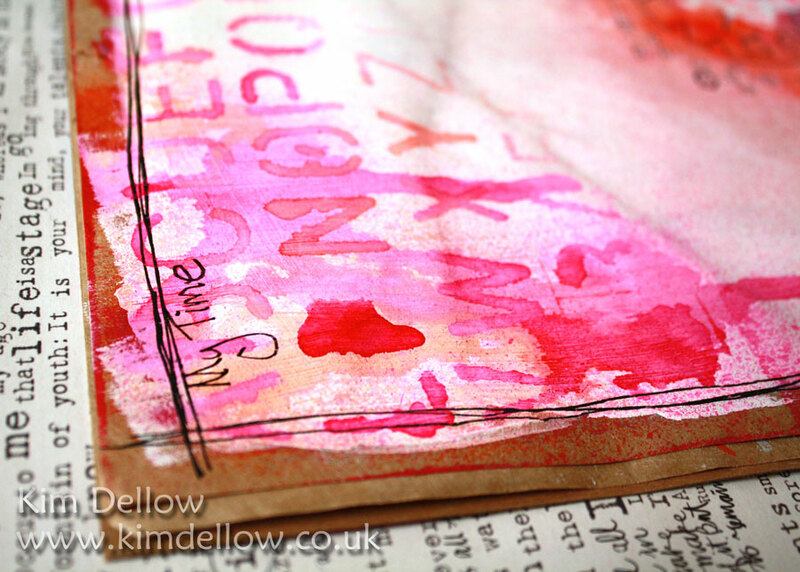 I’ve used the spray inks I’ve been playing with recently and stencils, but you will also spot some ink and dip pen lines and sentiment. This ink was the Kuretake Sumo ink and I’ll be talking more about this ink in some up-coming posts so keep your eyes out for that. Just a little tip, I wanted the silhouette to really pop so once I was finished getting inky I ironed off the clear embossing. 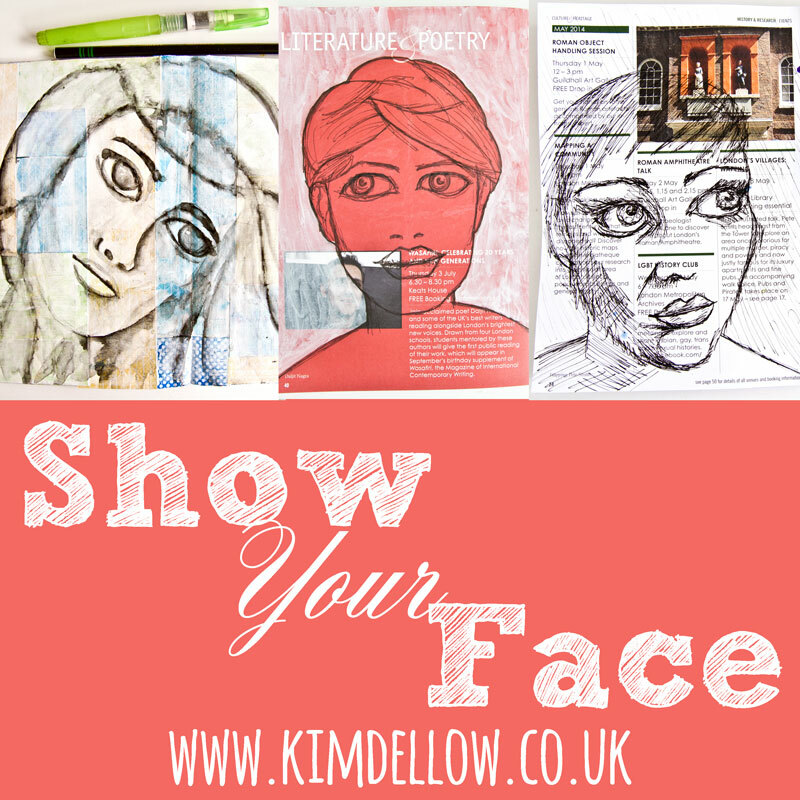 So I thought that I would link this up with the Simon Says Show and Tell Challenge this week which is a ‘No Rules’ theme – My favourite theme! Thanks for popping by, hope you are having some inky fun yourselves. It is a new release day for the Susana Loves Stamps range from SCACD and the SCACD team and Quixotic Paperie team, and guests (one of which is me!) 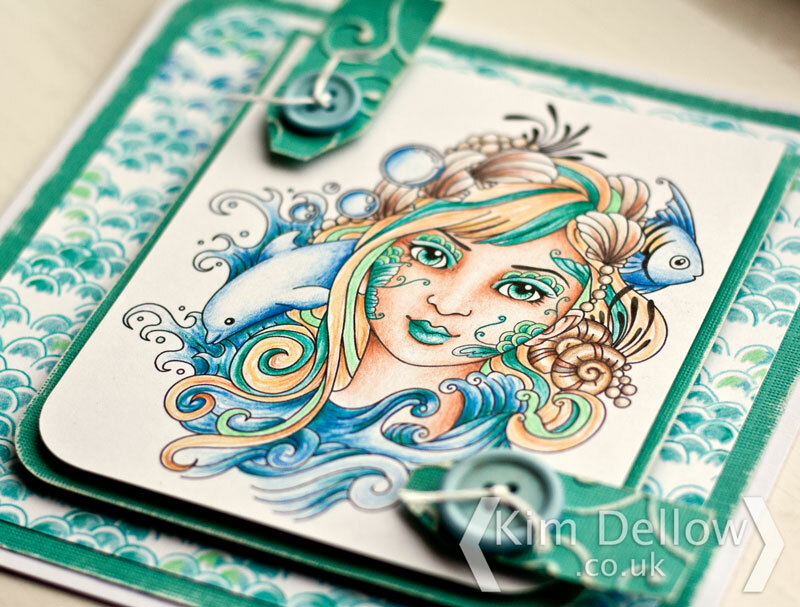 have some blog hopping fun to showcase the new stamps. This is a monster release! 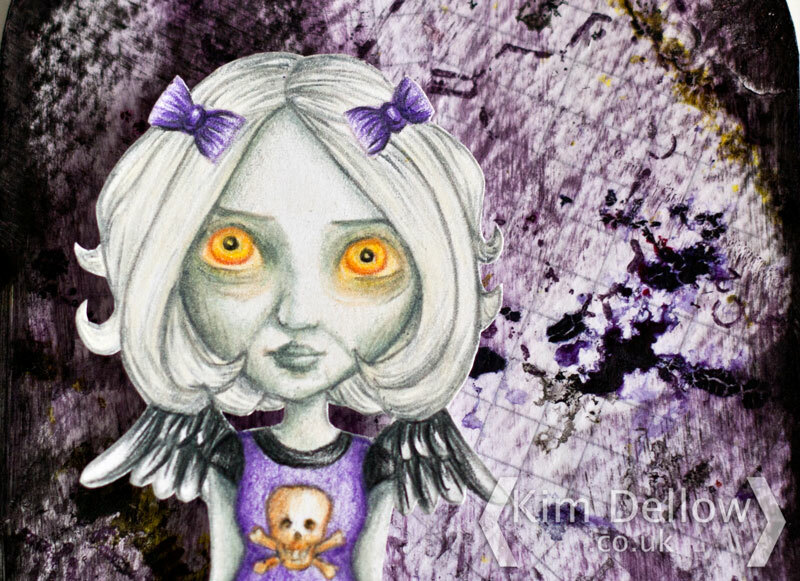 Yep, lots of cute and quirky little monsters in the Oddly Sweet Curiosities Collection plus some cute girls with attitude in the Little Sassy Crew. So my little monster is a rather frazzled looking kitty – I know how she feels, I think I’m having one of those weeks! Ahhh! What’s up kitty cat? 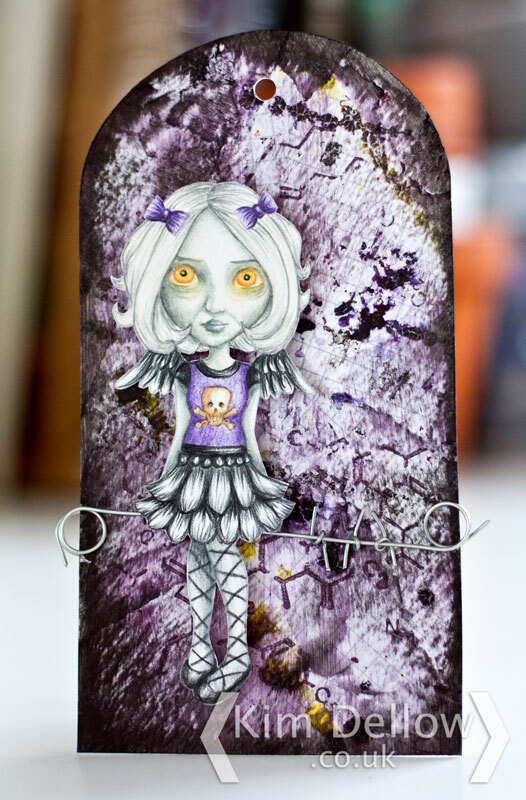 You can find her individually or in the Oddly Sweet Curiosities #2 Set which you can find at Quixotic Paperie or if you are in the US or Canada then checkout SCACD. Ok so on to more blog hopping fun. 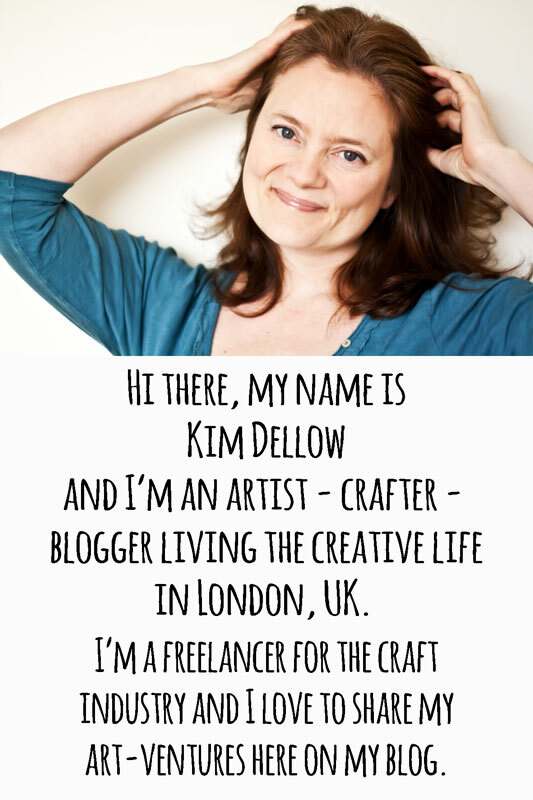 Kim Dellow (guest) – You Are Here! 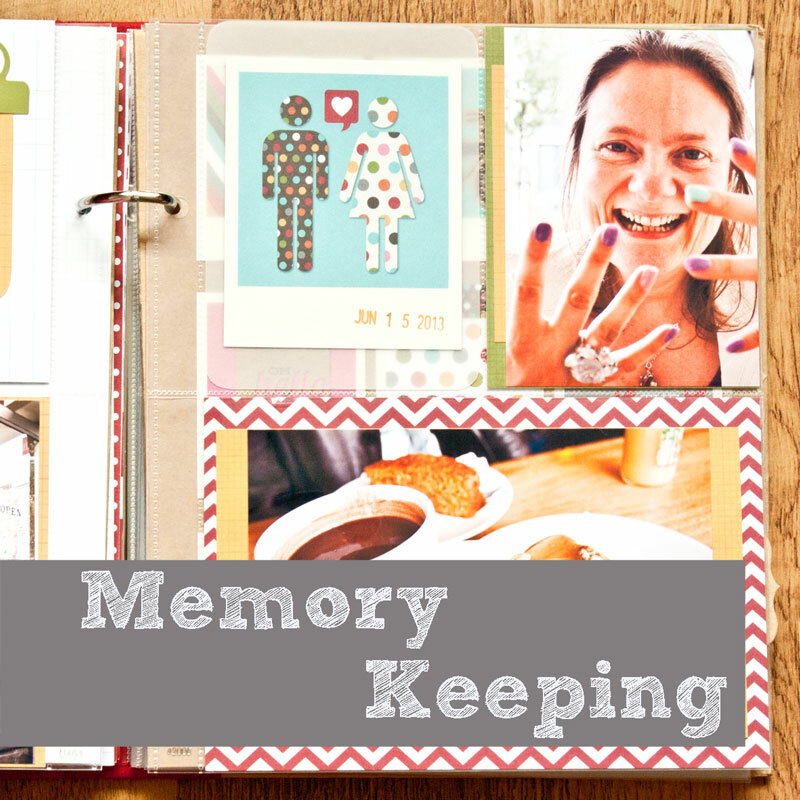 Have a super fabulous blog hopping time! What? Thursday already? 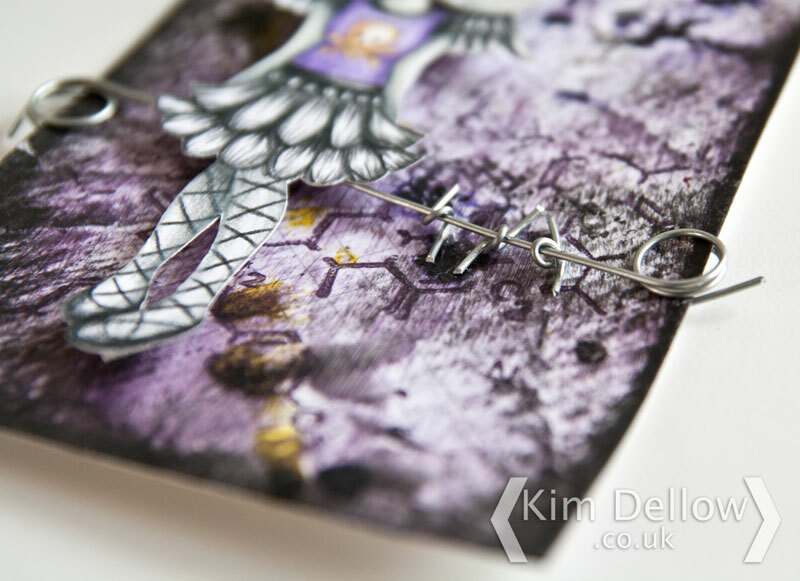 It seems like only a couple of days since the SCACD and Quixotic Paperie blog hop showcasing the new Blank Canvas Collection yet it was almost a week ago. Well, I have another make to show you from the new range. This one uses one of the women stamps which you can find in the large kit with the women and the head silhouettes or the smaller kit with just the women both available at Quixotic Paperie. 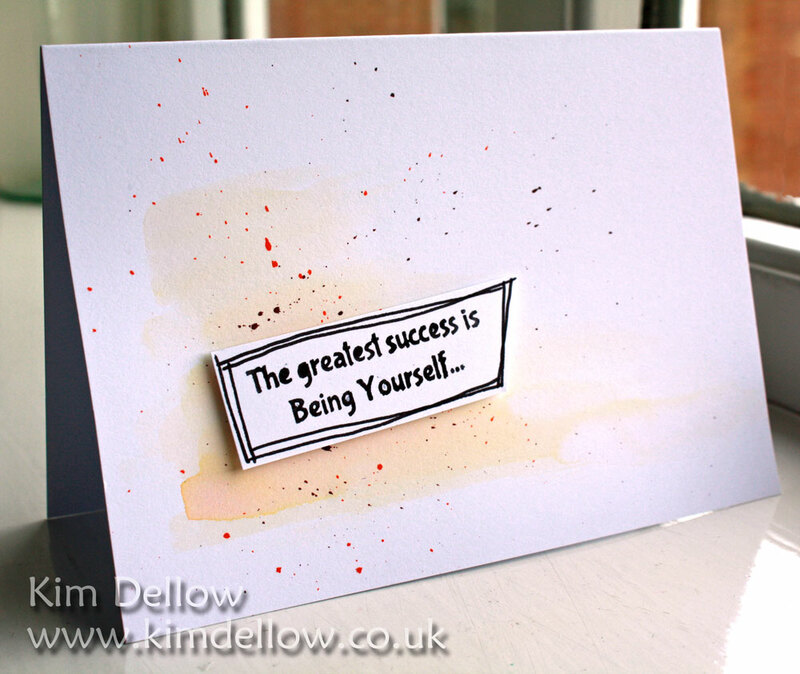 It is a Clean and Simple mixed media make using paint and ink onto kraft. The sentiment comes with the larger of the two kits. Enjoy your day you all and thanks for popping in today.